My most successful app. 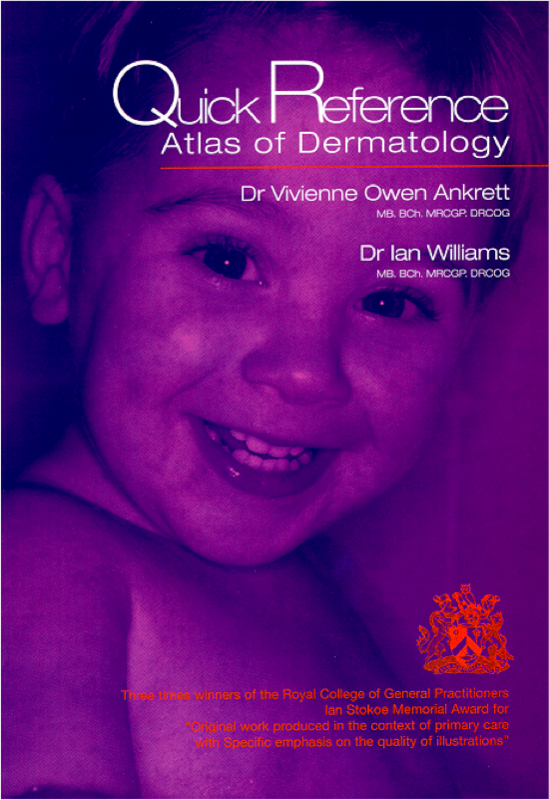 Based on the award winning book by the husband and wife UK GP team of Dr Ian Williams and Dr Vivienne Ankrett this has short notes on a whole range of common UK dermatological conditions. Purposely light on treatments (as these vary from country to country and change) it aims to inform the health care worker about common conditions they may see. 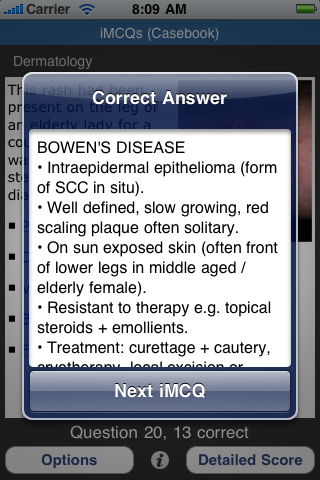 An iPad version with a simple built in quiz is also available. The original book won an Royal College of GPs award. The app doesn’t pretend to be 100% comprehensive. It covers the conditions that Dr Williams and Ankrett saw in daily practice while they were collating the book. 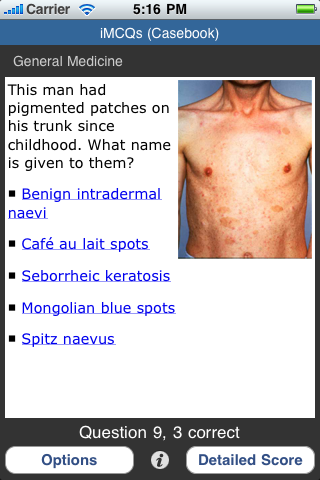 If any dermatologists or GPwSIs have any photo collections and want to contribute further pages on subjects not covered please get in touch. thanks for letting me know – I’ve just removed A2Z and A2ZHD off the app store. can you explain more? do you mean an area on each page that you can create your own notes on? does it need any other functions? i not against it. need to think about how to implement it. if i save it in a database. when /if i upgrade the master db we might loose it. so need to thick about other ways. either save it to the notes app or in a separate database.. ill look at it. Almost there – keep prodding ;-). The 2 apps are basically written and I’ve tested them. The original apps were written before Apple introduced something called Automatic Reference Counting and Storyboarding – we used to have to manually manage all memory ourselves and used to have to handle all XIBs – its now actually much easier – but I’ve had to rewrite/edit large parts of the code. This is basically done and everything is working minus the search functionality which i think ill add as v2.1 feature to speed getting it out. I’ve also disabled the quiz from the HD version – I’ve never been sure if anyone used it – did it just detract from the atlas? not sure. The only thing thats left is I now have to reproduce all the icons and screenshots in about 20 different sizes and this is holding me up a little as i need to find the time to do it. I should have it done this weekend… I’ve had 3 palliative care patients at work this week that have taken up a lot of time so I’m behind. Obviously the upgrade will be free and I’m thinking of dropping the price in general. I can’t give it away for free as the content owner takes a fee. I’m thinking of stopping selling the HD as a separate app. ill upgrade it so it works but I’m thinking of turning the base app into a universal app – again when i originally wrote it you could do that. Anyway – prod me again on Sunday and it should be done and submitted. then it takes 2-6 days for Apple to approve.